Shivpal Yadav’s Pragatisheel Samajwadi Party (Lohia) is giving candidates of the Bahujan Samaj Party (BSP) and the Samajwadi Party (SP) sleepless nights. Their plans of a seamless challenge to the Bharatiya Janata Party (BJP) on the back of their combined strength threatens to unravel. Akbarpur is an important constituency in Uttar Pradesh. The SP-BSP alliance had fielded Nisha Sachan from the seat. The Congress acted spoiler in naming Rajaram Pal as its candidate. Both are from the backward castes. Now, Shivpal Yadav has fielded his own candidate, also a backward. So if the BJP now puts up an upper caste candidate, there is every chance that he will get through amid a three-way division in OBC votes. That’s the way the cookie crumbles. 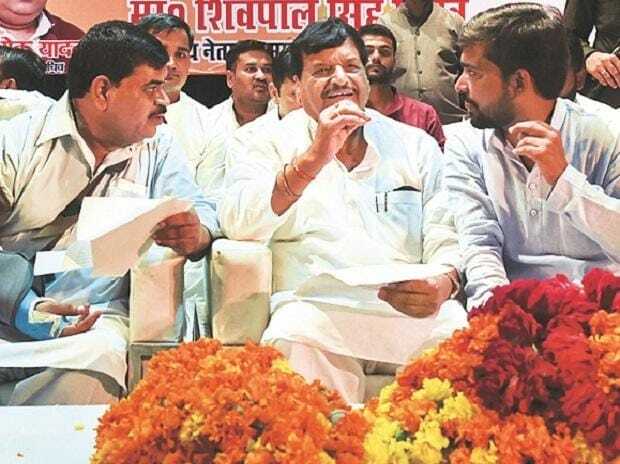 Meanwhile, Shivpal Yadav has announced that he will contest from Ferozabad against his own nephew, Akshay who is Ramgopal Yadav’s son and is the SP candidate. The Congress has declared it will not field a candidate from this constituency. Now, everyone is waiting to hear whom the BJP will put up. This is not an easy seat for SP even though the party has won it five times in the past. In a 2009 by election, Dimple Yadav lost to Congress’s Raj Babbar. So it would have been logical for the Congress to put up a strong candidate here. Sometimes there is no explanation for the way the party behaves.